Fragrant Snowball viburnum, Viburnum carlcephalum, is well known for it's unique, snowball-shaped, fragrant flower clusters that appear in abundance during the spring season. More details below! Note: For our customers who live and garden north of USDA Plant Hardiness Zone 6a, where this Viburnum is not reliably winter hardy, you'll be happy to know it can be grown in containers that can be brought indoors during winter and placed back outside when temperatures warm up in spring. Fragrant Snowball viburnum, Viburnum carlcephalum, is well known for it's unique, snowball-shaped, fragrant flower clusters that appear in abundance during the spring season. 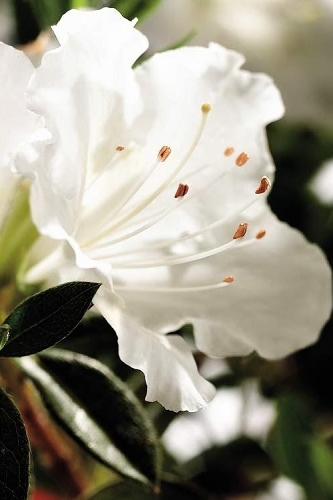 Pink buds are followed by gorgeous 3-4" white blooms that will fill your garden with a wonderful aroma. 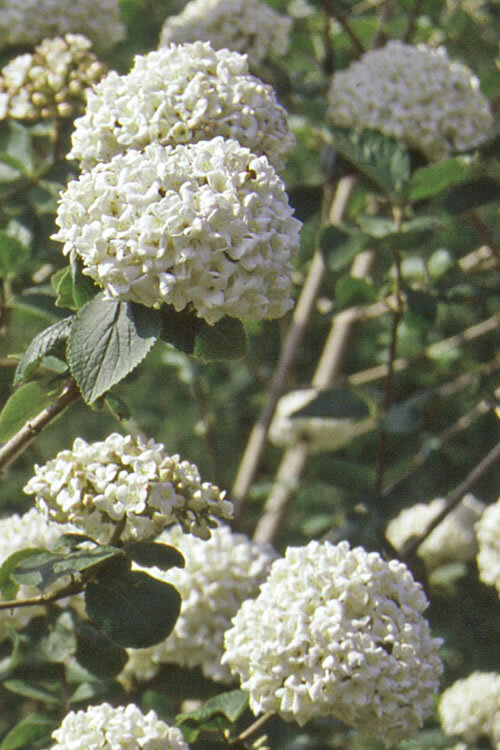 To enjoy the fragrance and beautiful blooms make sure to plant the Fragrant Snowball Viburnum near a window or sitting area. 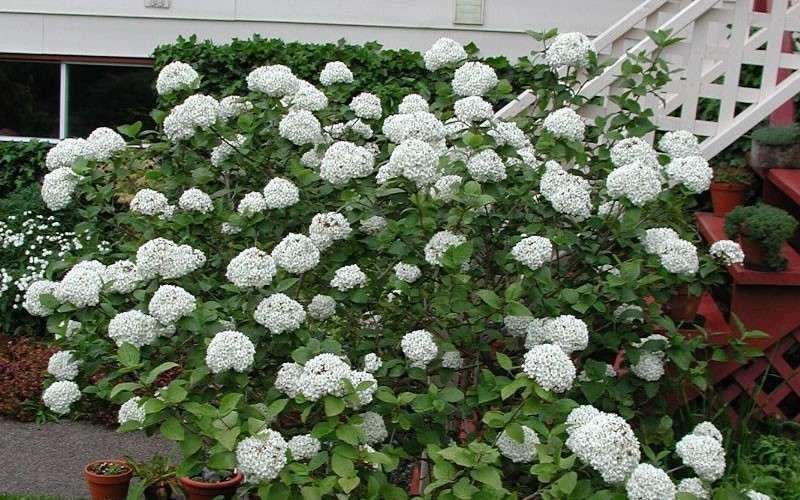 Growing 6-10 feet tall and 6-10 feet wide at maturity, Fragrant Snowball Viburnum can be grown as a large shrub or lower branches can be removed to form a very attractive small tree ideal for use as an eye-catching specimen or grouping in landscape and flowering shrub borders. Also useful to frame corners, accentuate entryways, or as espalier (trained to grow flat against a wall) in home foundation plantings . A welcome addition to cut flower gardens and the Xeriscape (low water needs). 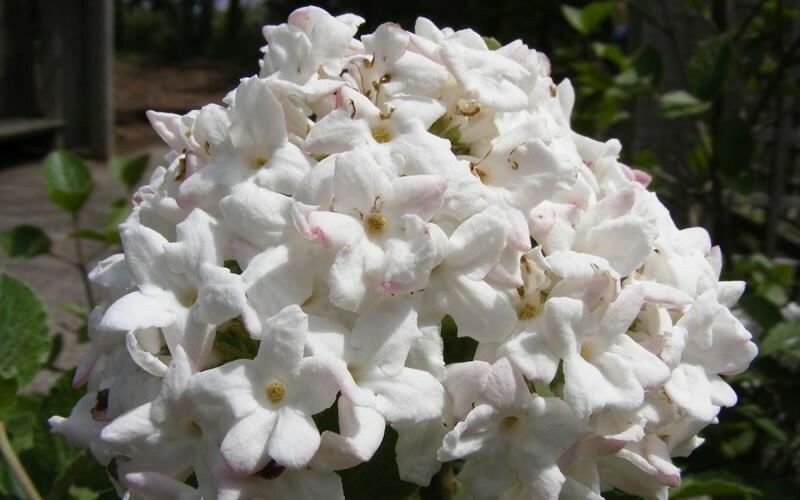 Viburnum is very easy to grow in most any average, most but well drained soil and full sun to part shade. It prefers a loamy soil of average fertility. As with so many other ornamental plants, it does not like constantly soggy or wet conditions. Very drought tolerant when established and we've seen no serious pest or disease problems. Deer haven't touched it in our gardens. For best flowering, at least 5 hours of direct sunlight per day is suggested. Responds very well to pruning for shaping, size control and tree forming. Prune as needed immediately after flowering. 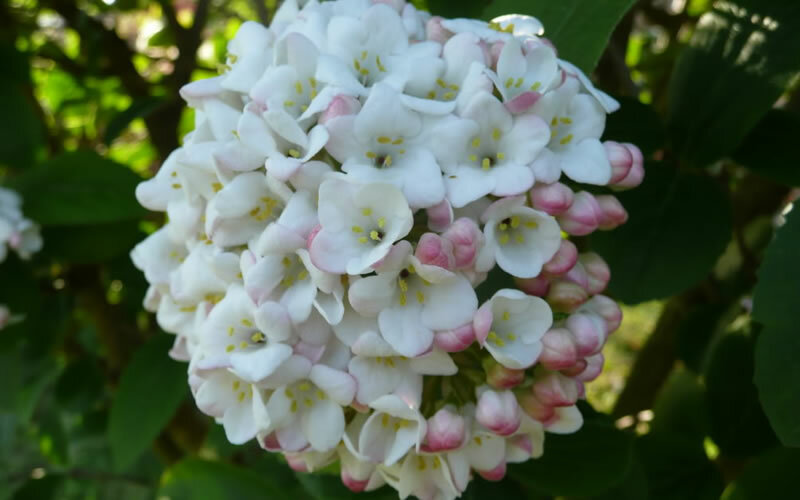 Click on the link below to find helpful advice from our experts on how to plant and care for Viburnums. Flower Size: 2-4" size clusters. 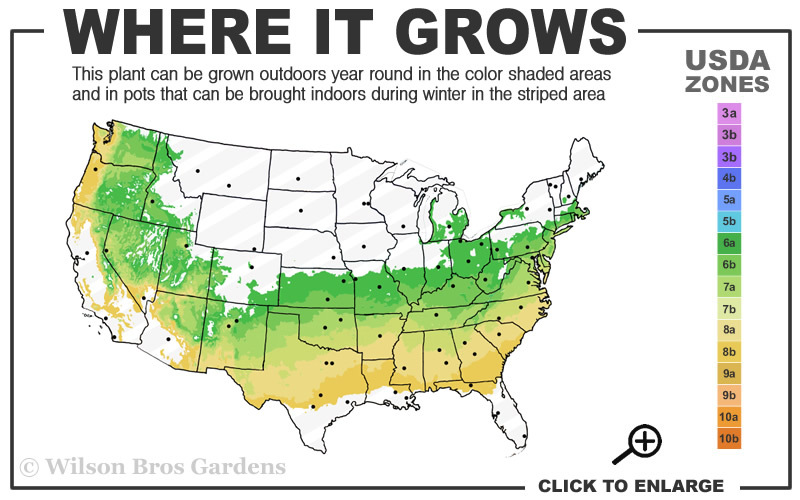 Blooms throughout the warmer seasons! The Fragrant Snowball Viburnum are very popular and the next crop will be ready this spring, hopefully in a few weeks but it may be a little longer depending on the weather. The price is $64.97 for a 3 gallon pot with free shipping. 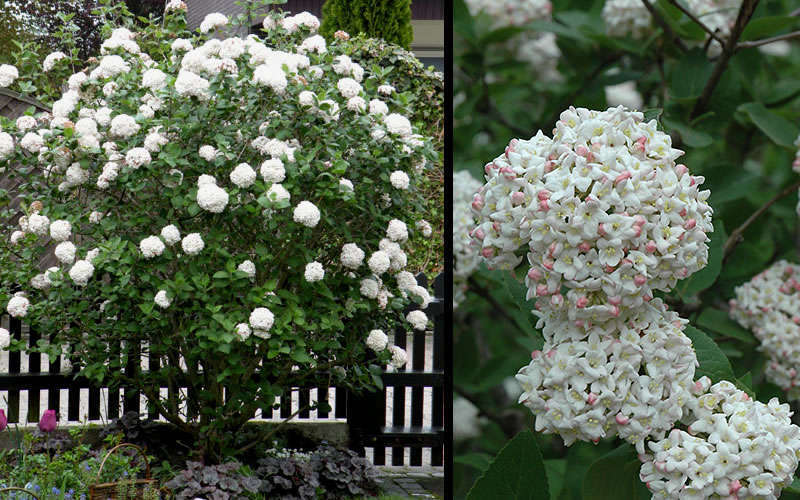 If you like you can put your name and email on the 'waiting list' on the Fragrant Snowball Viburnum product page. This is not an obligation to buy just a way for our software to notify you by email when the product is back in stock.